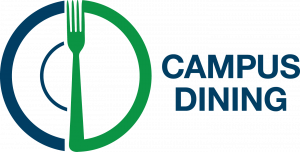 Started August 22, every Penn State student can enjoy allergen-free and Kosher food facility, provided by the independent kitchen in East Dining Hall. I recently caught up with Lisa Wandel, Director of Residential Dining, and Brooke Jodon, Assistant Director of East Food District. 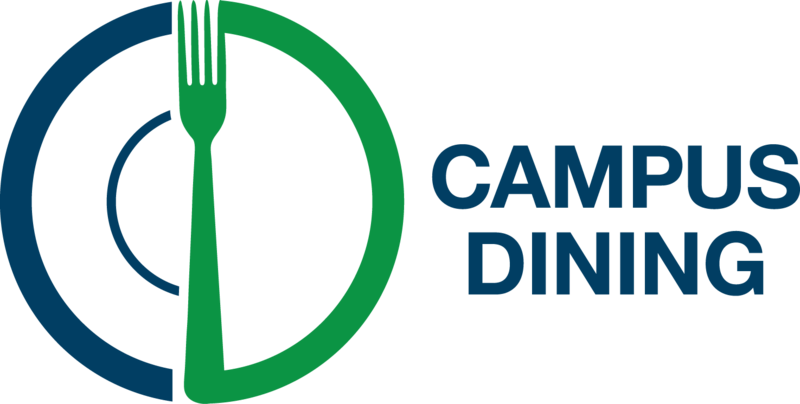 They told me that Penn State dining facility would always be dedicated to bringing more diverse of foods for students, living on- and off- campus. The food provided by PURE station are free from 9 allergens: dairy, eggs, peanuts, tree nuts, fish, shellfish, soy, wheat/gluten, and sesame. Since it not only provides Kosher food but also allergens-free food, students have all sorts of allergies can get the healthy and “worry-free” food. The rationale for starting PURE is to provide Kosher food for over a thousand of Jewish students on campus right now and for prospective Penn State students. For most of the time, Jewish students do not choose Penn State because they could not get Kosher food here in State College. 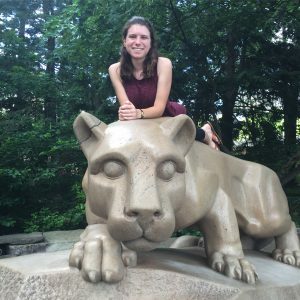 What’s more, Jewish students are dropping their commitment with Kosher because they could hardly get any in Penn State, especially for living-on-campus students. Therefore, Lisa and her team conducted research among the Big 10 universities to learn from their experiences. At that time, EFD was undergoing retrofitting and a new independent kitchen was built for allergens-free food project, Lisa thought that it would be a great idea to combine Kosher with allergens-free food together. PURE is a one-year test pilot program. Food Services staff will continuously monitor the performance of PURE. If it grows by the end of this academic year, the project will attract more students choosing to come to Penn State over other universities. 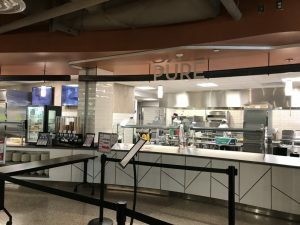 However, Lisa mentioned that if PURE does not do as well as expected, EFD would change it to just allergens-free stations, continuing providing students with “worry-free” food choice. *PURE is open for dinner from 5 to 8 p.m. Sunday through Thursday, as well as brunch from 10 a.m. to 2 p.m. on Sundays, and it is open to the entire community, including students, faculty, staff, Penn State families and guests. Another concept Lisa and Brooke mentioned during the interview was convenience. 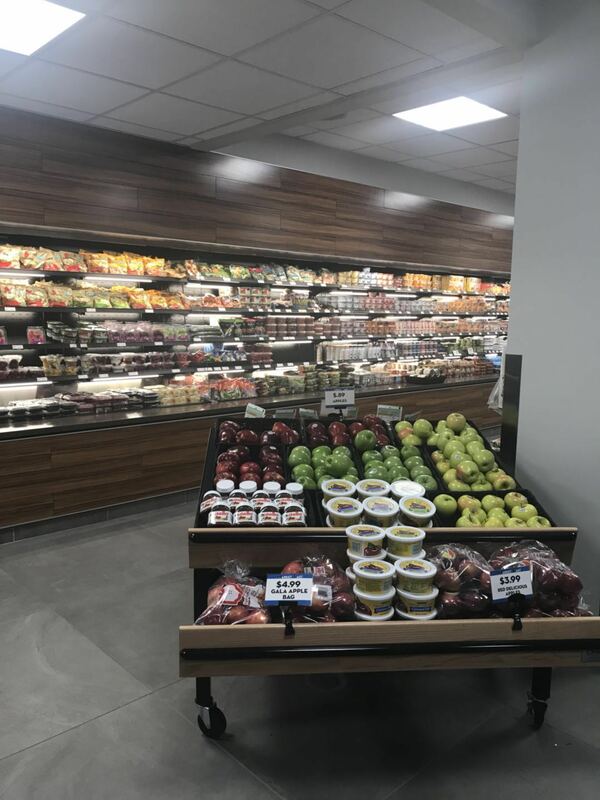 Not just PURE, Market East also provides fresh fruits, healthy snacks, Pennsylvania-based businesses, and commodities for East halls’ residents. Lisa told me that one of her goals is to constantly listen to feedback from students and make adjustments accordingly. There are around 4,000 students living in East housing and the Residence Life staff see an increasing needs of grocery shopping for on-campus students. Compared to other housing areas, East is relatively far from downtown, which brings students difficulty in grocery shopping. 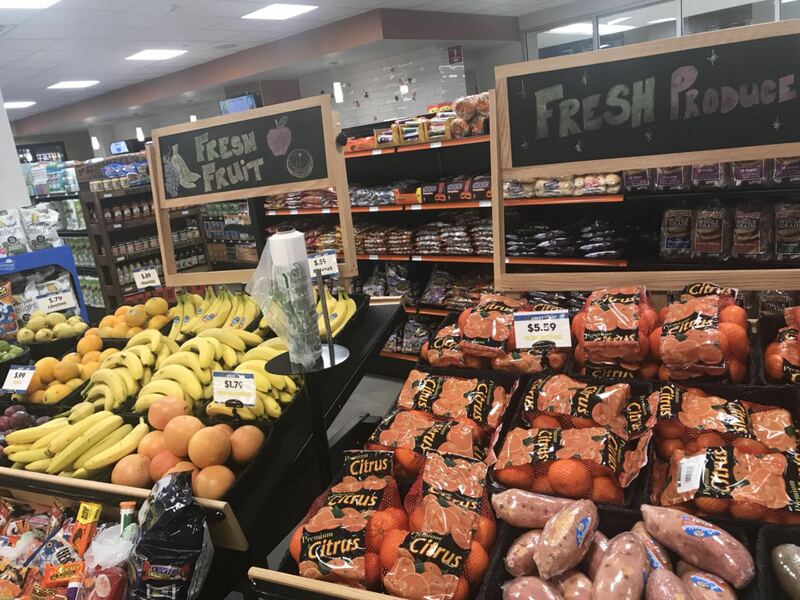 Hence, the Residential management expanded the convenient store, making it larger and providing additional freezers, more beverage coolers, and more necessities. Now, students can get quality groceries inside of the East Housing Area, making life more convenient for students. What’s more, “students are looking for healthier choices, such as fresh produce students can keep in their micro-fridges and heat up in their microwaves. We’re proud to offer a wide variety of grab-and-go items and healthier food options, ” said Brooke. It has been a few years since I lived on-campus. I am very impressed by the huge changes in the dining hall. At the end of the tour, I tried the dairy-free salted caramel flavored ice cream, made with chickpea juice, made by PURE station. It was very tasty. For a dairy-free ice cream, it was the best taste I had. What’s more, residential management team is really putting efforts in considering students from all different backgrounds. After having a tour in EFD, I feel excited about the future of on-campus dining. Today is Tuesday, my favorite date of the week. I normally have two classes today, both of them are my favorite. Supply Chain is my first class, and we learn how to calculate and manage the demand forecasting. It is such a fun class and the professor is very nice in person. He makes sure every student in class fully understand the concepts (“No Child Left Behind” Act). He always share his personal stories and experiences with us. The second class I have is a capstone class for my Advertising major. Basically, in College of Communications, most upper-level classes are project-based. We do a lot of projects and present them before finals week. So, though we don’t have a lot of final exams, we’ve got “final week” to compile our semester-long projects into a book. This semester, we are doing energy drink category for the class. Each group is assigned a brand of energy drink to design an advertising campaign. Our group is assigned to work on AMP Energy. At first, I did not have any hope for the brand, since AMP Energy is so small in terms of sales and market share. However, after our group taste test AMP products, we all agreed that AMP Energy has the potential to win the campaign. I am now very excited about our brand and ambitious to win the campaign! Tuesday and Thursday afternoons are always peaceful and quiet for me. It is the only time I can relax for the day: having a cup of coffee or having a lunch with my roommates. I only have 30 minutes for lunch on Mondays, Wednesdays, and Fridays. I don’t have any classes in the afternoon. However, I have to go to workand stay in the office the entire afternoon. Where do I work? I work at The Daily Collegian. It is the student-run multimedia news resource at Penn State. This year, Collegian is celebrating its 130th birthday. I am working in the Collegian as a Business Operations Department Manager under the Business Division. It is getting busier as the semester goes on, not only because we are contacting clients every week, but also we are training new trainees. The board of managers is working hard on designing the 2-month training materials. Each person in the Collegian will have office hours that he/she needs to do each week. Trainees have the least hours, and managers have the most. Although it sounds a little overwhelming at first, you don’t feel anything once you get into the office, because a lot of clients will call in and you will be busy. The same applies to News. Everyday, editors would also come into the office and preparing contents for tomorrow’s newspaper and updates online throughout the day. 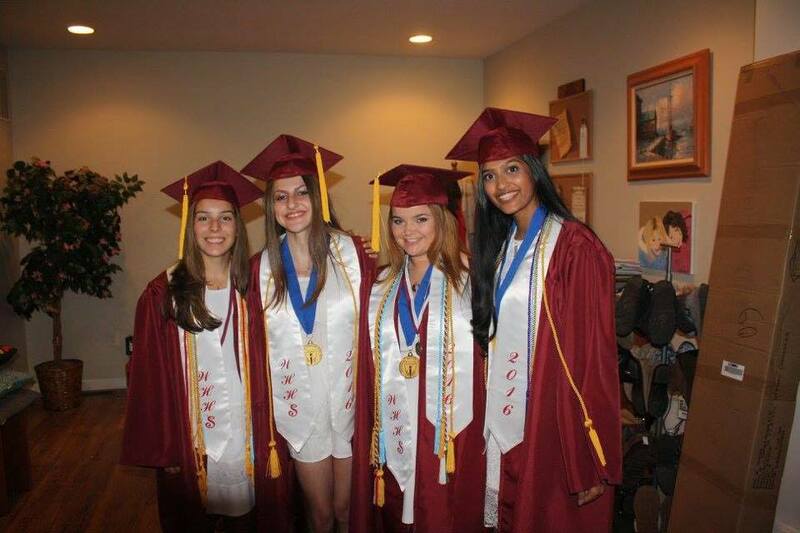 They are also responsible for newspaper layouts, taking pictures on campus and pitching the stories. 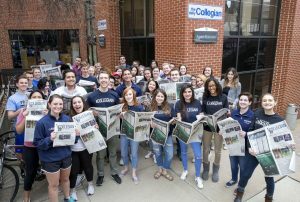 Besides work, Collegian is like my second family at Penn State. 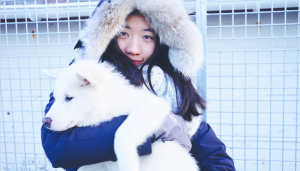 I am an international students, and it is hard to talk to my family every day due to the time zone difference. Collegian is the place where I spent most of my time of the day in every week. And every student here is so nice to work with. We become friends easily, because of the same interests or same majors, and we take classes together too! Preparing hard for GRE test in October!!!! After work, I normally grab a simple dinner and head to the library to finish my school work. When I was sophomore and junior, I did not normally go to the library. However, I need to study extra hours in the library, not only because I got more working hours in Collegian but also because I need to prepare for my GRE test, which is for applying the Graduate school. Therefore, I need to spend more time in library to make sure I am not falling behind. I normally go back to my apartment at around 9:30 p.m. to 10:00 p.m. depending on my progress. Since I live off campus, I need to commute back and forth on the bus. The nice thing is that I do not need to purchase the bus pass. It is complimentary from the housing area. 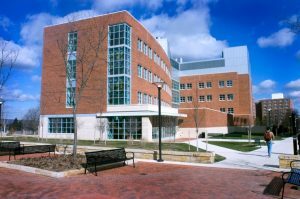 Did you know there are 24 Penn State campuses? That’s right, State College is not the only place you can find a home within the University. These campuses come in all different sizes, and are spread throughout Pennsylvania. There is University Park, the largest, most well-known Penn State campus. The campus you probably think of when you hear “Penn State University”. However, there are other options spread throughout the state where you could start, or even finish, your Penn State degree. In fact, there are more than 30,000 students at Penn State Commonwealth Campuses. Some of these students have the ability, depending on the campus and their major, to spend all four years at their Commonwealth campus. Others are enrolled in the 2+2 plan. What this means is, you can start your degree at one Penn State campus, spend two years there, then finish your journey at any Penn State campus with the degree you wish to complete. For example, I am a Marketing major. I started at Penn State Beaver, a small campus located north of Pittsburgh. Penn State Beaver offers a four year business degree I could have completed there, but I chose to major in Marketing. So, I spent two years there and I will finish my degree at University Park. Class sizes at University Park can be over 500 students. During my time at Penn State Beaver, my largest class was around 40 people. Consider what setting you see yourself performing and learning the best in. State College is a college town surrounded by farmland and mountains. Many students enjoy this setting. Other students may want to be near a big city, and can consider campuses near Pittsburgh (Beaver, Fayette, Greater Allegheny) or Philadelphia (Abington, Brandywine). This is just the beginning of the decision making process with the Penn State options available. Just know, whether you make the choice to spend all four years of your degree at University Park, or start at a different campus and transfer, you are not alone. Over 7,000 first-year students begin their journey at University Park, and over 9,000 begin at another campus. Penn State has a fit for everyone. One of the best parts about Penn State’s options? Learn more about our campuses at a Penn State Day open house. Events are happening all around the state this month! “Study abroad is the best experience I have in Penn State. 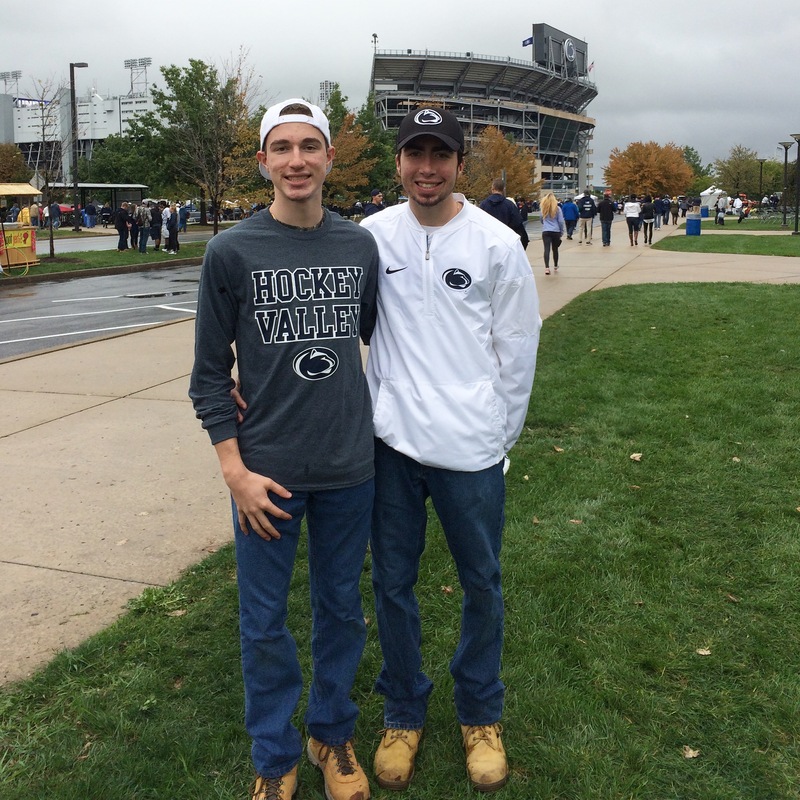 If I were to choose again, I would go every semester if possible.” Tim, recent graduate from Penn State told me. Study abroad is one of the most popular and welcomed programs at Penn State. Students can choose various study abroad programs: they can go to nearly any country in the world to explore its culture and earn some credits for their degrees along the way. I personally did not have the opportunity to study abroad because of the heavy workload for double majors, however, I have invited two students to talk about their preparation, experience, and thoughts about study abroad.Eileen, a senior majoring in Finance and minoring in French, is going to Paris next summer to complete her French minor. Tim, recent Penn State alum, studies in Oxford University for one semester in his Junior year. Tim: I was looking for a good study abroad program since I was freshman. Besides of learning different cultures, I also wanted to gain a broader perceptions of what the world is and how students in other countries learn and study. 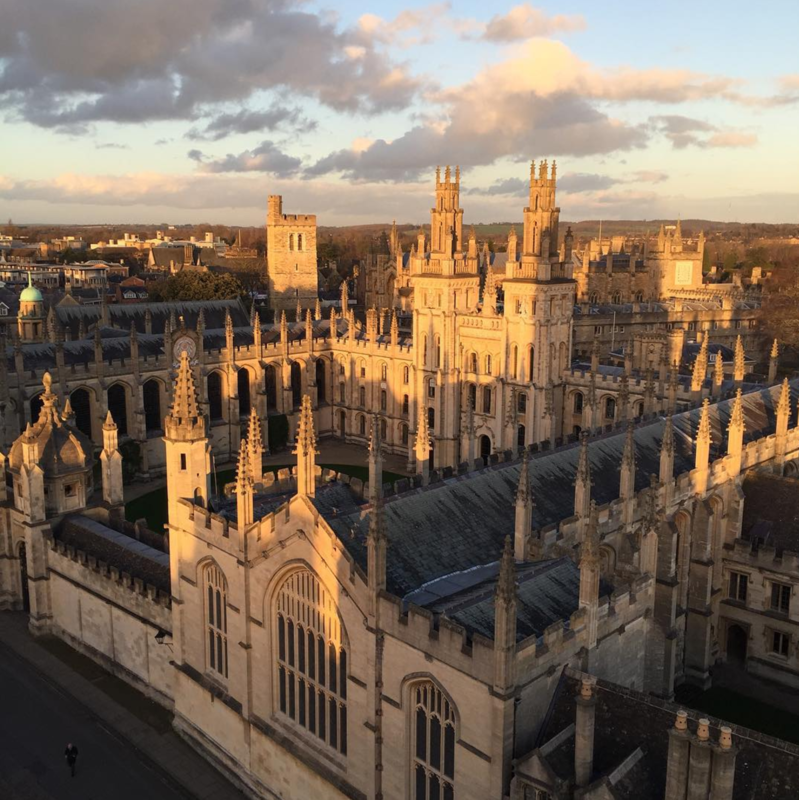 I chose Oxford University not only because I have been long for its long history in education but also because I want to know how England and U.S. differ in their education systems. What benefits do you think you can gain from Study Abroad? Eileen: From my perspective, the biggest benefit is to improve my French. Imagine I will be studying in Paris for 2 months, and I can talk to the local and also learn from them. According to students who went last year, we can live with the local family, so it is an awesome opportunity for me to learn about French culture. What’s more, since I already know 2 languages, if I could become proficient in the third language, that would bring me competent! Why should prospective students consider studying abroad? Eileen: It is a great opportunity! If you ever had such opportunity, don’t hesitate and grab it! You get to learn things that you could never learn in the U.S. Personally speaking, benefit outweighs costs. Tim: Most importantly, you can make friends with students from all over the world. You came for different reasons but share a lot of similarities. I cherish my experience and friends I made in Oxford University. If I were to choose again, I might go for a whole academic year, instead of going just one semester, which was too short. Actually, I am planning to go again next year to attend their graduation. Do you have any suggestions for students who plan/want/not sure about Study Abroad? Eileen: If you have the thought of studying abroad, even just a little, you should go see an adviser. Another suggestion is to prepare beforehand: weather, food, transportation, etc., so that you can use the weekends to travel to nearby countries, such as Germany and Switzerland. Tim: Don’t hesitate if you do. Study abroad is the best experience I have in Penn State. The only thing I regret is not going to Oxford University for a whole year but only a semester. 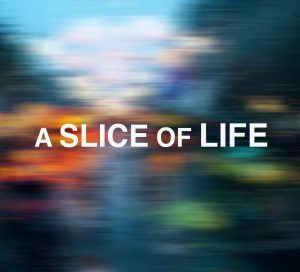 It is the once in a life experience. Penn State Global Programs offers more than 300 study abroad programs to students in a variety of majors. 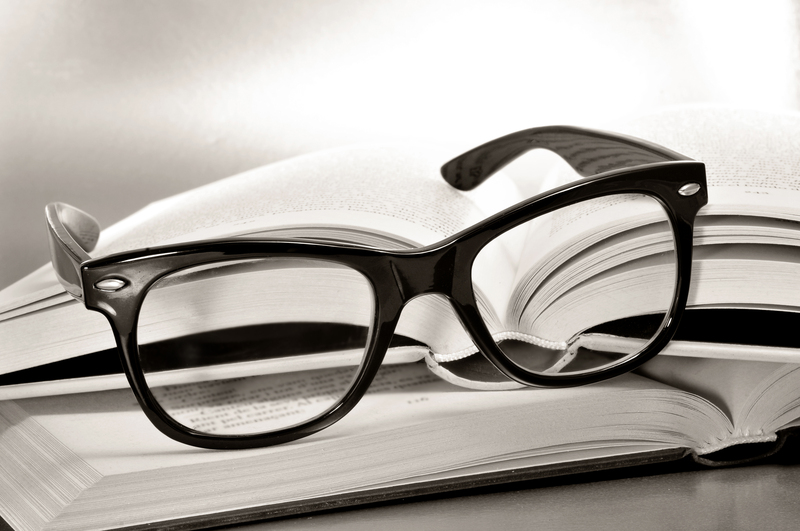 You do not need to be a language major to study abroad! If you have a dream, go for it. Study abroad is a once in a life time experience. A lot of students who participated in the previous programs all come back with unforgettable and invaluable memory and a lifelong friends. Hello, my name is Nicole Miao. I come from Guangzhou, located in deep south of China. It is a place where you can have unlimited amount of dim-sum everyday and no snow all year around. I have spent 4 years in Penn State, and I will be graduating in Spring 2018. My majors are Advertising and Information Science and Technology (IST). I am a Schreyer Honors College student, and I also minor in Business and pursue a Smeal Business Certificate. As you are reading this, you might have thought of many reasons for being part of Penn State: beautiful campus, outstanding football team, etc. Different from most students, I did not have a chance to visit the campus. I chose Penn State because of its high rankings in my interested major — Advertising. 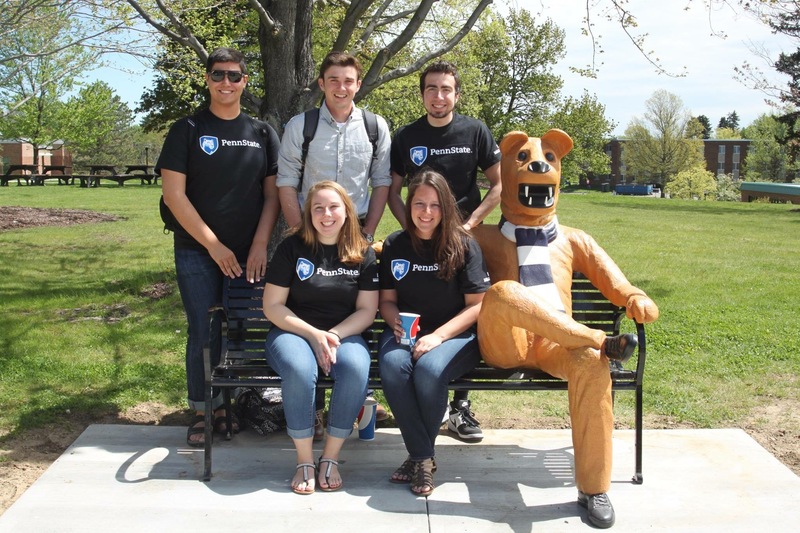 Penn State is one of the few undergraduates that open Advertising major. Although I applied to most colleges for business major, I did not want to push myself into business so early. I wished I could have a chance to know more outside of the business area. This is why I chose Advertising to be my major: it is close to marketing but stands on the opposite perspectives in terms of consumer and company. In Advertising major, students have the opportunities to learn how to conduct research, how to create campaigns for different types of businesses, and how to create the artwork. Therefore, when we graduate from Penn State, we will well-prepared to work. Penn State is such a great place for you to explore yourself. Advisors and faculty members would try their best to guide you through the struggle and confusion. As I take more and more major classes, I am falling in love with this major completely. But meanwhile, I want to explore more about other majors. One of my professors told me that I should try to take some IST classes, since the Advertising industry is moving from print to digital side. Hence, after I have taken some computer science and IST classes, I wanted to learn more about the nowadays technology and how it affect the way people live. In fact, my honors thesis is about to understand the persuasiveness and effectiveness of advertisements on various digital platforms. Penn State has a lot of opportunities waiting for you to find. 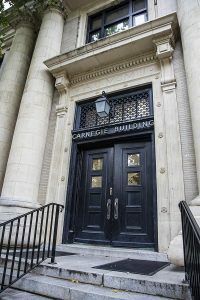 There are numerous student organizations, honors society, clubs and classes on campus. From volunteer perspective, THON is one of the largest Penn State affiliated organizations on campus. 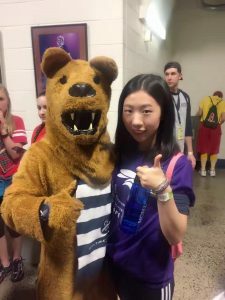 Every year, it hosts dance marathon in Bryce Jordan Center in order to provide emotional and financial support for families impacted by childhood cancer. New students can also participate in Fresh START, which is to volunteer with local Non-Profit organizations. In addition, there are many academic related student organizations on campus, where you can learn a lot of things that professor might not teach in class, like communication skills, leadership, team work, public speaking, etc. As I first came to State College, I did not know how to order in an American restaurant. Penn State has given me a lot and taught me many things in these four years. If I could do it over again, I would still choose Penn State and become a Nittany Lion four years ago. If you had asked me in high school what college I wanted to go to, I would not have said Penn State. I had my heart set on going to school outside of my home state of Pennsylvania; more specifically, I wanted to go to New England, where I dreamed of studying in a library on a leafy college campus nestled in between rolling hills. However, at my mom’s insistence that I look at a school in state, I applied to Penn State (mostly because all of my friends applied) and told everybody that I wouldn’t end up going here anyway. Still, one day in September of my senior year, I drove up to State College with my best friend and her dad to tour campus. 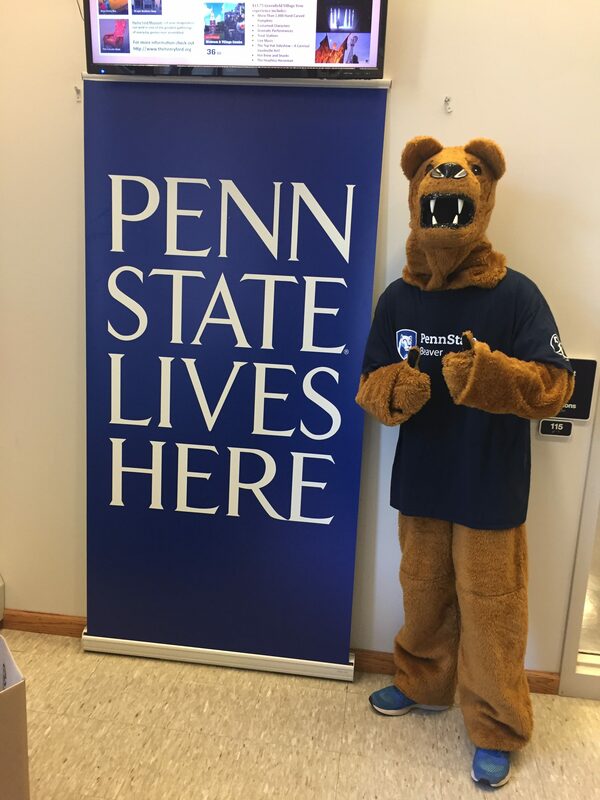 The more time I spent on campus during my visit, the more I realized that my insistence that I wouldn’t end up going to Penn State may have been a little premature. To me, the campus was perfect; it looked like what I always thought a college campus should look like, with beautiful academic buildings, lots of trees, and wide lawns full of students hanging out and studying. When the campus tour ended and I walked from the Business Building to the Creamery (where I got a huge cup of Peachy Paterno ice cream), I got the feeling that I could really belong at Penn State. A few months later, I visited again, this time meeting with an adviser within the College of Communications. 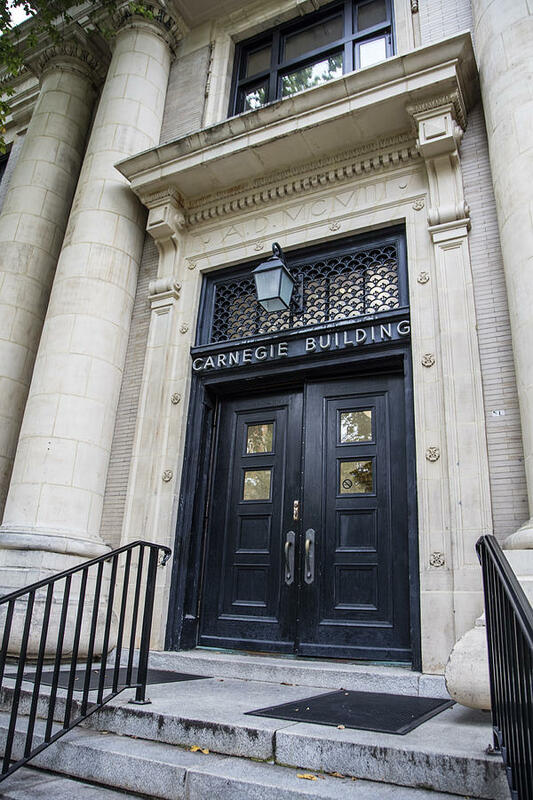 Sitting in the Carnegie Building, I knew that if I decided to go anywhere other than Penn State, I would always regret passing up the opportunities I have here. I arrived on campus for the fall semester of my freshman year full of excitement and apprehension. I spent much of my first semester overwhelmed by everything: the amount of people on campus in between classes, the immense school pride that washed over State College on football game days, the 12 by 15 foot dorm room that I had to share with somebody I barely got along with. There were times I questioned my decision not to go to college in New England, even though I knew the reasons I had decided to come to Penn State still made my decision to come here the right one. My second semester was better than my first one, since I was more familiar with campus and college life. By the time spring semester ended, I was sad to leave and go home. However, I wasn’t home for long before I came back to campus in late June to work as a LEAP Mentor for incoming freshman. Spending the summer in State College was the best decision I ever made; I was able to get closer to the friends I already had who were also in town for the summer, and I found a group of other Mentors whom I really enjoyed spending time with. Looking back, I regret not enrolling in summer session before my freshman year to ease my transition into college life. As I start my sophomore year at Penn State, I am so glad that I chose to come here. Even after only a year, the College of Communications has given me even more opportunities than I thought it would when I first decided to send in my deposit my senior year of high school. The campus is always as pretty as it was the day I visited, and even at such a big school I can’t walk across campus without running into somebody I know. I love studying in all the different spots around campus, and I can’t wait to go to football games with my friends this fall. And, as it turns out, I get to live out my dream of sitting in a library with a view of a leafy campus and beautiful rolling hills after all. Penn State was the school I wanted to attend ever since middle school. My parents never went to college. In fact, I have no family that has ever even gone to Penn State (but my younger brother recently chose Penn State because of my influence). My dad, for some reason, always was a Penn State football fan. So, I was a Penn State football. My first ever personal experience with the University was at a football game my freshmen year of high school. I immediately fell in love with the atmosphere and energy that Penn State provides. It is a feeling unlike any other. The buzz of life and close knit feeling that I experienced that day with 100,000 people I did not know drew me into the University. However, that same energy that comes from 100,000 people you do not know on football Saturdays can also be intimidating. This is why I did some research my junior year of high school and found all the opportunities the University provides across the state of Pennsylvania. These opportunities come in the form of Commonwealth campuses. I was able to find a home at Penn State Beaver, 35 minutes away from my home near Pittsburgh. 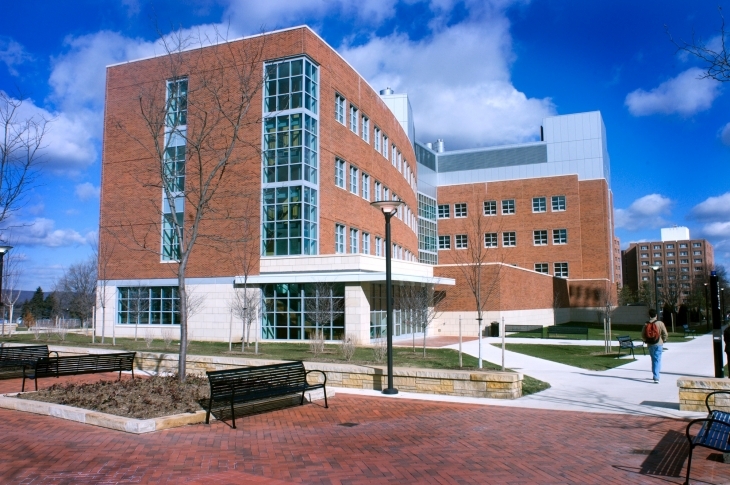 The Beaver campus, such as many other Commonwealth campuses, provides students with a chance to begin their Penn State journey at a smaller campus (class sizes at Beaver averaged around 23), spend two years there, then move on to a different campus (such as University Park). I was able to grow as an individual, meet great people, and prepare myself for life at University Park by starting at Beaver. 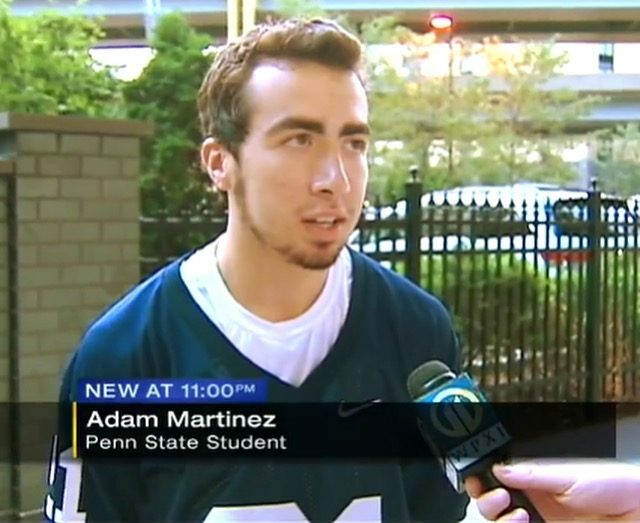 Last fall, the day before the Pitt vs Penn State football game I was interviewed in Pittsburgh by a local news outlet! I thoroughly enjoyed my experience at Penn State Beaver. I am now a junior Marketing major at the University Park campus and I am loving it. I have grown to feel more connected and involved, as well as excited to be a part of the energy that I first felt more than five years ago. Penn State provides opportunity. I always wanted to go to Penn State, University Park, but was intimidated by the size. However, I was still able to find a home in the University. No matter what kind of campus you would like, be it large or small, near a city or in the middle of the State, you will find a home with Penn State. 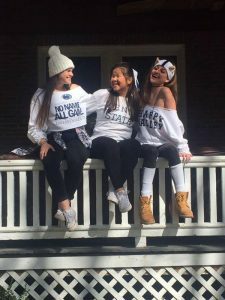 Most importantly, you will find a family in the Penn State community. My brother is a freshman and we are both spending our first semesters at University Park together this fall! Hello future Nittany Lions! My name is Bella Fordyce and I’m here to tell you about my experiences at Penn State, from starting out as an out-of-state, undecided freshman who had no friends in Pennsylvania to where I am now, confidently heading into my senior year. First off, I’ll tell you a little bit about myself. I’m from St. Charles, Illinois, but being raised by two Penn State parents pretty much secured my destiny as a Nittany Lion. 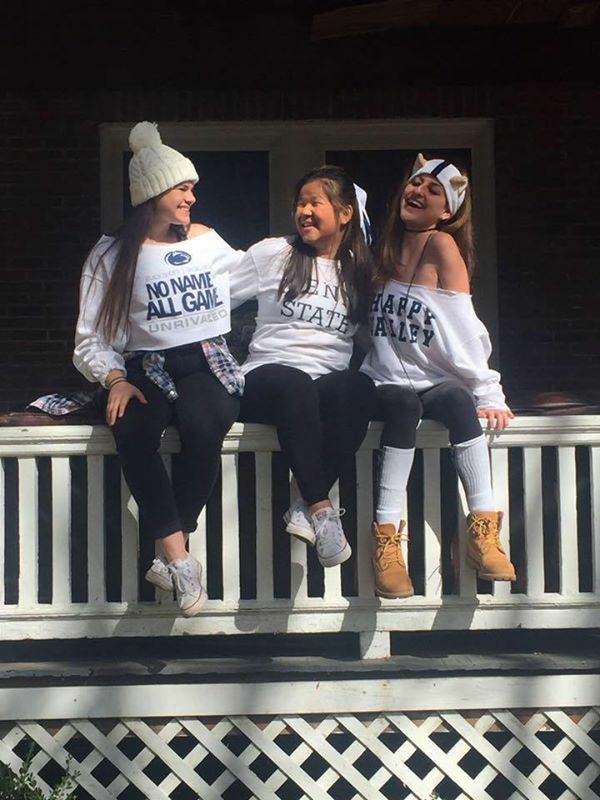 I grew up wearing Penn State cheerleading costumes for halloween, asking for navy and white bands for my braces in middle school, visiting State College in the summers to stock up on PSU notebooks and t-shirts for the upcoming school year. When my high school college search started, however, I almost didn’t apply to come here. 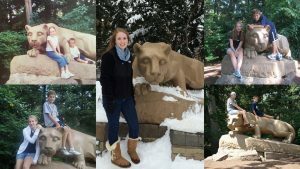 There was the distance from home (a ten-hour drive), but more than that, I was worried that my lifelong infatuation with the University might blind me to great opportunities elsewhere or possible downsides to Penn State itself. I applied to a slew of other schools across the midwest (including some of my now Big Ten rivals), but when I was waiting to hear back about my status, it was Penn State that I was the most anxious about. 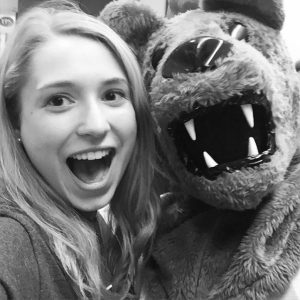 When I got my acceptance and officially visited Penn State as a prospective student, I immediately knew that State College was where I wanted to be. Now that I’m going into my senior year, the time when I doubted coming to Penn State seems like a lifetime ago. I’m now a public relations major with four minors (digital media trends and analytics, psychology, history and international studies, if you were curious), I’ve studied abroad, held multiple internships on and off campus and become a leader in a great student organization. I’ve never regretted my decision to come here, and as I begin the job search and preparing for post-grad life, I’m in the best position that college senior can be in–confident. Over the next few months, my goal is to tell you all about what my life at Penn State has been like. I’ll let you in on the tips and tricks for navigating your way through college life, from how to plan out your schedule, what to bring, how to find your niche–and even the best ice cream flavor to get in your Berkey Creamery milkshake (hint: it’s Keeney Beany). I’ll tell you about the things that I love about this school, the incredible opportunities I’ve been afforded by coming here and of course all of the things I wished I had known or had done better over the last three years. I feel like I’ve made the most out of my time here. I hope I can help you do the same! If I told you that I was ready for college a year ago I would’ve told you, “Yeah! Bring it on.” Looking back on it, I was not ready for it at all. I had no idea what I was getting myself into. And I mean that in the best way possible. Now, as I’m sitting at the end of the semester, I wish that I could go back and tell myself some things that I’ve learned so far. Don’t expect things to happen the way you planned. There are going to be a number of twists and turns throughout your journey. You can’t plan anything and you shouldn’t want to. It’s okay if nothing goes your way or if everything goes as planned, but don’t let the unexpected events get to you. Just ride out your course because everything happens for a reason. Don’t worry if you have to change your major or if you come in undecided. It’s okay if you don’t know what you want to do because you have so much time to figure it out. Not only that, but there are so many great advisors here to help you figure out what you might have interest in. Time management is key. I literally plan out everything I have to do in a single day on my “Reminder” app on my phone. I was pretty organized in high school, but college requires so much organization. Make friends with positive people. This is anywhere, but especially in college. Having a decent support system when you’re going through obstacles. None breezes through college with ease, but it’s the relationships you have that make it easier. I can’t prepare you for college or the experiences that you will have here. None can prepare you, you just have to live it. I promise you that you will be able to handle most of the things that are thrown your way, and who knows you may have some pretty great stories to tell.